We are a volunteer organization that strives to represent the bees, beekeepers and beekeeping industry in Nova Scotia. There are around 400 active beekeepers in Nova Scotia accounting for approximately 25,000 hives. Each hive should have about 50-60,000 bees at its peak in midsummer so there are just over 1 billion potential bee-ings for our group! 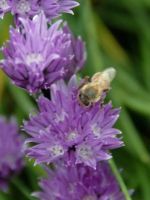 The mission of the Nova Scotia Beekeepers Association is to support and assist Nova Scotia beekeepers in maintaining healthy, profitable and sustainable apiaries through education, communication and the supply of services. can take avantage of bulk pricing and delivery for queens"